Who can qualify in MO for a sales tax exemption on utilities? A manufacturer, industrial processor or a recycler is exempt from all or some sales tax on utility purchases when it files a valid utility exemption certificate Form 149 with the utility company. A utility study is required to determine the percentage of production that a particular meter consumes. How can one obtain the sales tax exemption on utilities in MO? Once Form 149 is filed with the utility company, the account is tagged exempt. Form 149 authorizes the utility company to reflect the sales tax exempt status directly on the bill, and sales tax will be reduced by the appropriate %. In MO the taxpayer may choose between two methods of calculating the exempt %. It can choose the sq. ft method by creating a fraction of the plant’s production sq. ft. over the total sq. ft. Or it may complete a utility study described below. The exempt percentage determined by either of these methods can be rounded up to the nearest 25%. For example if a taxpayer is 55% exempt, then the exempt percentage rounds up to 75%. Does the State require that Form 149 and the utility study be completed by a professional utility engineer? No. The taxpayer may complete the required forms. However most companies in MO use an experienced professional for various reasons. For example, taxpayers are more comfortable having a professional certify the accuracy of the utility study rather than internal personnel inexperienced in these studies. The utility study is to list every piece of equipment and appliance that uses the utility, e.g. electricity and state each piece’s individual annual KWH consumption. The same process is required for non-production usage. It is from these two lists one can calculate the percentage of annual consumption that is used for production, and therefore determines the percentage of exempt utility purchases. That is why the state requires accuracy and certification of the utility study. 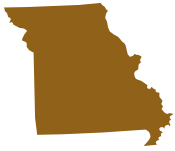 What is the scope of a Professional performing the utility exemption work in MO? Accurate completion of the utility study: The utility study is completed and certified by On Your Mark. There is no charge for the study and its evaluation until the savings has been approved. If the meter(s) do not qualify for exemption, there is no charge whatsoever by On Your Mark. Claim for refund: In MO, a refund claim will be filed by On Your Mark if the exempt meter qualifies to recover sales tax paid during the 36 month statute of limitations. Entire Process handled from start to finish: On Your Mark’s clients need not have hardly any input or time spent. On Your Mark performs the entire exemption service and typically has the exemption completed and filed in 30 days from authorization to proceed. Risk-free Method to Obtain the Utility Sales Tax Exemption: On Your Mark performs the utility study and evaluation at no charge. If there’s no savings, no fees. The only fees occur after the company receives savings. Benefits of the sales tax exemption on utilities: Typically a 5-8% savings is obtained once the MO sales tax exemption is approved, and the sales tax is immediately reduced or removed from the bill .